In many areas, it is almost time for gardeners to begin starting slow-growing seedlings indoors. 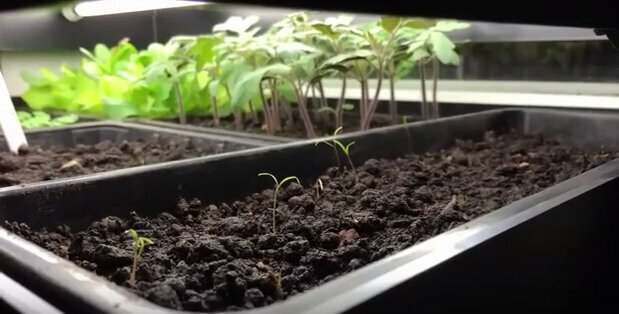 This quick video shares some helpful tips for keeping your indoor seedlings healthy by using grow lights. Starting your plants indoors is a great way to get a head start on the spring and summer growing seasons, but giving your little seedlings enough light can be challenging. If seedlings do not get enough light after germination, they can get “leggy” and develop long, spindly, weak stems that are prone to damage or disease. Using a grow light can help ensure your baby plants get all the light they need until they are ready to be transplanted out of doors into the sunshine. This short video shares some ideas for which plants you should (and shouldn’t) start indoors, and how to best use grow lights for maximum benefit.